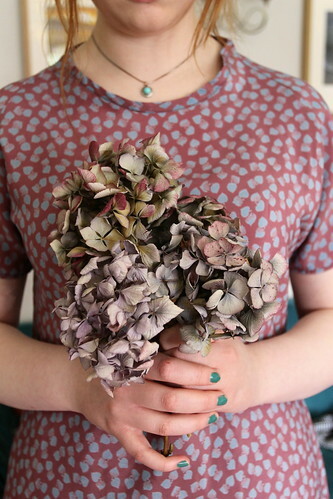 Woven Doris in Vintage rayon,bias neckband, short sleeves no cuffs. I've made a few Weekend Doris dresses from woven fabrics recently, I love to see the different effects different fabrics have. There are however a few adjustments that have to be made to the pattern before making a woven Doris. 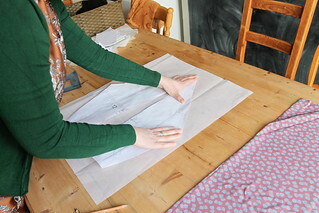 The pattern is designed for stretch fabrics, so firstly I size up one size. 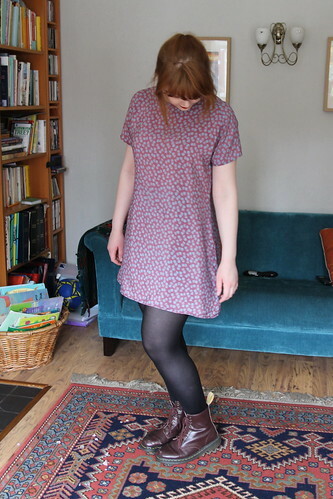 I cut my neckband on the bias and cut it at the largest size, any excess can be trimmed when I attach it. 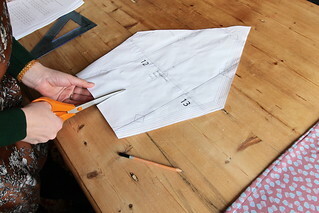 For most people the dress will fit over the head without any adjustments here, but if you are not sure, the back can be cut in two pieces, with seam allowance added and an invisible zip inserted. That was what I did with my first woven Doris, but found I was popping her on over my head anyway. 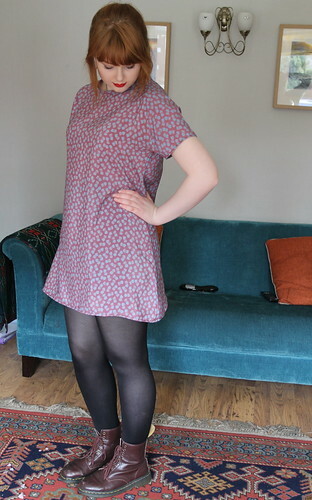 Lightweight satin Doris, with rolled hems at neckedge, sleeves and dress hem. 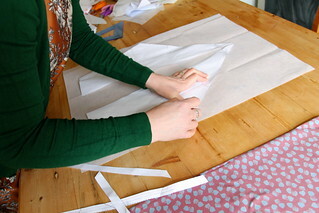 1: Draw a straight line down the centre of the sleeve piece. 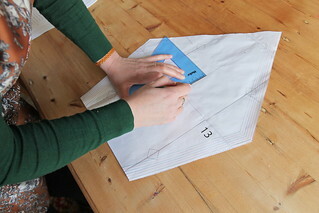 2: Cut along that line, leaving a hinge of paper at the top of the sleeve. 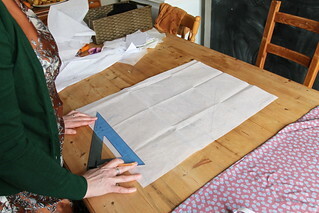 4: Place tissue paper/pattern paper under your adjusted pattern piece and trace. 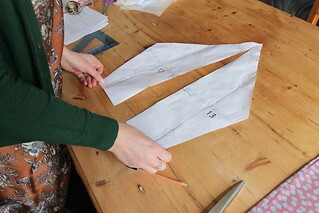 5: If necessary using your ruler or set square neaten up the cuff edge. 6: Transfer all pattern markings, and label your new sleeve piece. Today, despite feeling really rather poorly I helped India make herself a woven Doris. 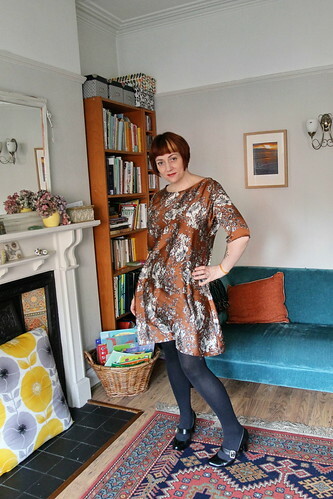 I let her loose on my new sewing machine and with some of my best vintage fabric.